Unless otherwise noted here or on the CC Facebeak page, weekly public hours on Sunday will continue through the chillier season. Four sessions of our WTF program have been scheduled for the next few months. A primary goal of these sessions is to provide a supportive space and to build community among people of underrepresented genders who are interested in working on/riding bikes. Of course, we welcome trans women, non-binary, and gender non-conforming folks to attend. Please feel free to drop in (no RSVP needed), or email us at info@commoncycle.org with questions. Location: The CC co-op/workspace at 416 W Huron St.
Common Cycle’s bi-annual maintenance courses are intended to help train future volunteers and community members by providing hands-on experience and general knowledge about fixing bicycles and assisting people who come to our bicycle co-op. Common Cycle’s Spring 2019 Maintenance Course will be held on Wednesdays from 6:30-8:30 pm, beginning March 20th and run for 6 consecutive weeks, concluding on April 24th. Classes will be held at the Common Cycle Co-op, located at 416 W Huron St Suite #11, Ann Arbor, MI 48103. We cover a range of repair and maintenance from basic (e.g. tube change, brake adjustment) to advanced (e.g. hub overhaul, wheel truing). Although this is a low/no-cost course, we ask you to respect the large amount of volunteer work that goes into facilitating and teaching the course. If you are enrolled, we expect you to attend the majority of sessions or make clear in your application if you will not able to attend some sessions. If selected, we expect participants to volunteer during at least two Common Cycle events over the subsequent 12 months. Applications close Friday, March 8th by 5:00 pm. Please send us a note at info@commoncycle.org with any questions. On Sunday, January 20th, Common Cycle’s public hours will be ending 1 hour early – Public Hours will take place from 11AM-2PM, rather than the usual 11AM-3PM. Weekly hours should return to their normal schedule as of 1/27. Since time immemorial, riders of bicycle come together on the third Sunday of January to participate in cycling on the so-called worst day of the year. Wheels in Motion’s 14th annual Worst Day of the Year ride is taking place this Sunday, 1/20 and in reverent observance, we’re hosting additional public hours this week on Tuesday the 15th and Friday the 18th from 6:30-8:30 PM. All are welcome to drop by to get their bike in shape for whatever conditions Sunday might bring (or whatever other riding one may have coming up). It’s been quite a year for Common Cycle and all friends, users, well-wishers and detractors are welcome to come relax at the co-op for a few hours as we wrap up the year and prep for 2019. A light meal and non-alcoholic drinks will be provided. Hello! We are now accepting applications for our Fall 2018 Maintenance Course. Please read through the info below and direct any questions to info@commoncycle.org. Common Cycle’s biannual maintenance courses are intended to help train future volunteers and community members by providing hands-on experience and general knowledge about fixing bicycles and assisting people who come to our open repair hours. If you are enrolled, we expect you to attend the majority of sessions (4+) or make clear in your application that you will not able to attend some sessions. If selected, we expect participants to volunteer at at least two Common Cycle events over the subsequent 12 months. Applications close Friday, September 28th at 5:00 p.m. Please respond to info@commoncycle.org with questions. Common Cycle’s volunteer-run, co-operative workspace at 416 W. Huron, Suite #11 is open to the public weekly on Sundays, from 11AM-3PM! Visitors are welcome to seek help from volunteers and/or make use of community tools to resolve maintenance issues or work on personal projects. 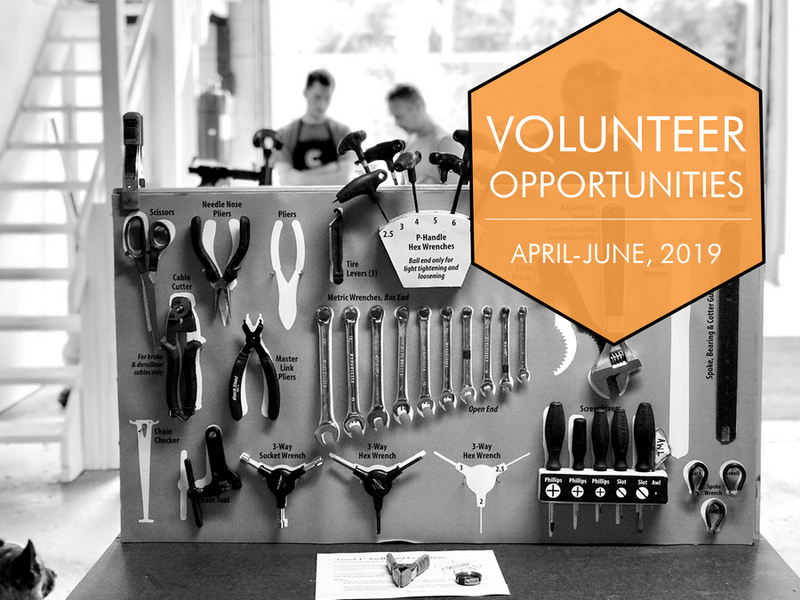 Volunteers at these open hours range from experienced mechanics to interested newbies, and we help all kinds of cyclists fix all kinds of bikes. The only requirement for getting help at 416 is that you be willing to get your hands dirty! Assistance from CC volunteers and/or use of tools is free, but donations are welcome. Join us for the grand opening of Ann Arbor’s bike co-op on Sunday, July 29th! All are invited to drop in between 3 and 6 PM, poke around the space, rearrange various carefully shelved items and explore new and upcoming programming options and volunteer opportunities. There will be a ceremonial “chain-breaking” at 3:30pm to celebrate opening to the public, as well as some informal remarks. The new space allows us to expand our programs and events, provide additional public hours, and better serve the Ann Arbor community by providing increased access to tools, supplies and expertise. We’re looking forward to what takes shape in the next year. 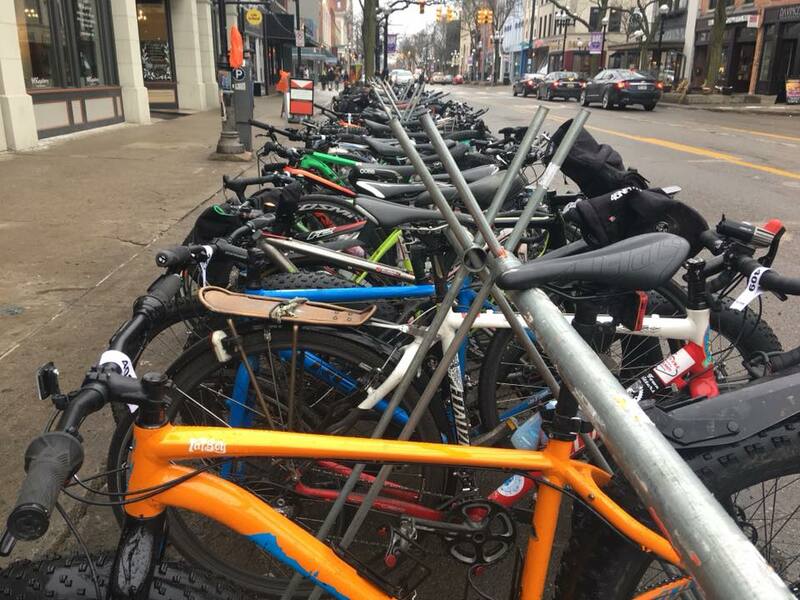 The launch of the new space is supported by the League of Michigan Bicyclists, Washtenaw Bicycling and Walking Coalition, and Common Cycle’s many generous donors. Sign-up sheets for upcoming volunteer opportunities, including regular hours and one-time events, are listed below.